McDonald Eye Care Associates proudly supports our Lakeville Community. We believe in supporting and enhancing the Lakeville-area community and aiding in the education of the youth in our field. 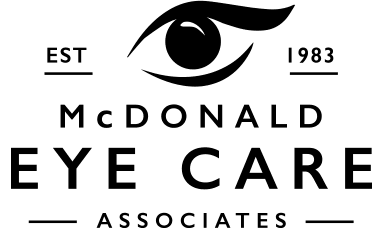 Involvement in the community has been important since McDonald Eye Care Associates was founded. Due to the McDonald family’s interest in the Lakeville community, much is done every year to help support teams, events, and organizations in and around Lakeville. In fact, Dr. McDonald and Patti have received the Lakeville Area Chamber of Commerce Business Person of the Year award. Lakeville North Senior High School (Panthers) – Panther All Sports Booster Club, Girls Varsity Volleyball, Girls Varsity Hockey, Girls Varsity Gymnastics, Lakeliners Dance, and Boys Varsity Football. Lakeville South Senior High School (Cougars) – Cougars All Sports Booster Club, Girls Varsity Volleyball, Girls Varsity Soccer, Girls Varsity Hockey, Girls Varsity Gymnastics, Dance Team, Boys Varsity Soccer, and Boys Varsity Football. Kindergartens and Day Cares – We host field trips for kindergartens and day cares. While here, the children meet a doctor, see an exam room and learn about what the doctor does during an exam. 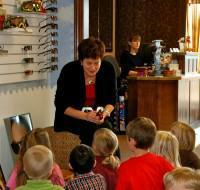 They also visit the contact lens room, Vision Therapy room, listen to a story from Patti, and try on glasses. Elementary Schools – Each year we provide information to children whose elementary science fair projects have an optometric or eye-related focus. Middle Schools – In past years Dr. McDonald has spoken at career days and helped classes dissect animal eyes as part of their science classes. Senior High Schools – We offer “job shadowing” opportunities for high school-aged students interested in becoming an Optometrist or being involved in the optometric field. Please contact our office at 952-469-EYES (3937) for information on job shadowing. The doctors have also participated in high school career days.